David DOW – bcdg – (1714 – 1794) was Alex’s 6th Great Grandfather; one of 128 in this generation of the Miller line. David Dow was born 25 Dec 1714 in Haverhill, Essex Mass. His parents were Stephen DOW and Mary HUTCHINS. He married his first wife Abigail Kelly 28 Jan 1736/37 in Salem, Rockingham, New Hampshire. Alterntively, he married Abigail a few miles away in Methuen, Mass. or maybe they were two names for the same place. As early as 1736, Salem was the “North Parish” of Methuen, Massachusetts, or “Methuen District.” In 1741, when the boundary line between Massachusetts and New Hampshire was re-established, the “North Parish” became part of New Hampshire, and was given the name “Salem,” taken from nearby Salem, Massachusetts..
After Abigail died, he married his second wife Mary BROWN 10 Apr 1744 in Salem NH. David and Mary immigrated to the Saint John River in Canada. David died 1794 in Oromoeto, New Brunswick, Canada, killed by a falling tree that he was cutting. Note that he was 80 years old at the time. It is said that David was the second interment in the great Dow Cemetery. Ten years later, David’s grandson and namesake David Dow was also killed by a falling tree, while he was clearing the Sullivan Creek hill road near Dow Settlement, Canterbury, NB. Abigail Kelly was born 16 Mar 1711/12 in Amesbury, Mass and died 29 Dec 1743 in Salem, NH. Mary Brown may have been born 19 Jan 1725/26 in Bradford, Essex, Mass. Many genealogical records show her parents to be Caleb BROWN and Elizabeth JEWETT However, Caleb’s and Elizabeth’s Mary was born 12 Dec 1725 in Boxford, Essex County, MA; died in Maugerville, Sunbury County, New Brunswick; married Capt. Francis Peabody 18 Nov 1742 in Boxford, Essex County, MA. They had six children (1743 thru 1760) and Francis died in 1771. Their Mary died 24 Oct 1771. Our Mary died in 20 Oct 1770. Francis Peabody lived in Boxford, MA until 1764, when he moved to the St. John River in a part of Nova Scotia set off in 1784 as New Brunswick. He and two son-in-law, James White and James Simonds, were among the pioneer English settlers of Maugerville, NB. Francis was commander of a company in the French and Indian War. He participated in the attack on Ticonderoga in July 1759. The next year, his company was in the expedition against Canada by way of Albany and Lake Champlain. After the French surrendered at Chambly, the company returned to Ticonderoga, then marched across country to Boxford, arriving about Dec. 1. 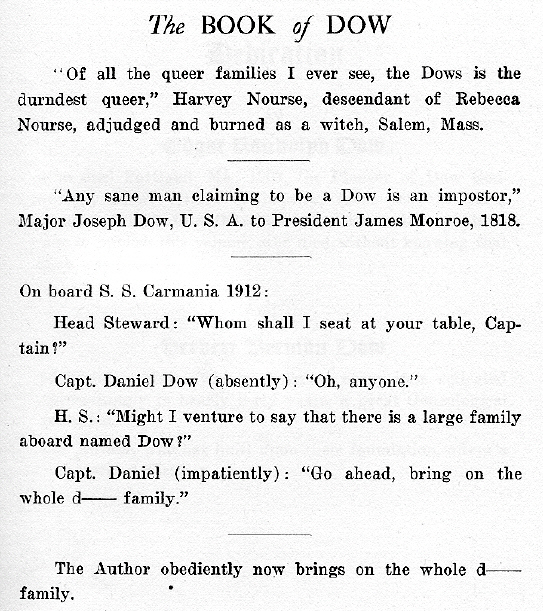 The link between Robert Piercy Dow’s The Book of Dow and the Caleb Brown who married Elizabeth Jewett was resisted for a long time due to much of the information appearing to be false. For example, some of the people are described as being born in Ipswich, England and dying in Ipswich, Massachusetts (as well as other New World cities with Old World counterparts such as Bradford). Nonetheless, much of the information comes from several different reliable Jewett family histories. I don’t know if this is a meaningful clue, but the Book of Dow says Caleb was from Bradford and the 12 Dec 1725 Mary Brown was born in Boxford. The two towns are about 10 miles apart. It’s odd there were two Mary Browns born a month apart, died a year apart who both immigrated from the Rowley area to New Brunswick. 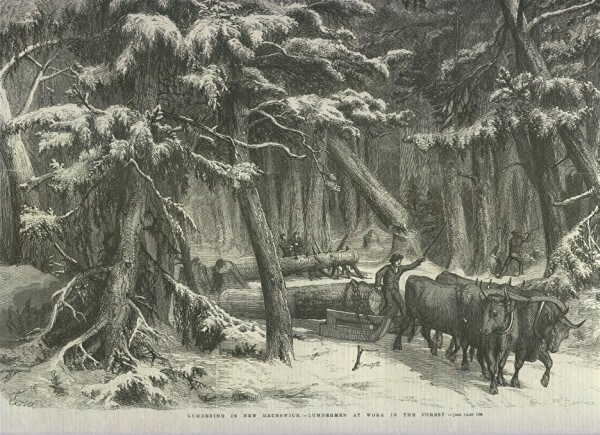 David was a lumberman and was in business with his sons Enoch, Nith and orphaned nephew William. He moved to Oromocto New Brunswick between 1753 when he was last recorded in Salem, NH and the 1770 birth of a grandson. Given their early immigration, the Dow’s aren’t Torries who escaped after the Revolution. See my post New England Planters in New Brunswick for their historical story. “Dow’s Hill” at the mouth of the St. John’s River in New Brunswick is said to be named after David’s second daughter Hannah, though the Hanna Dow Hill I found is on Deer Isle next to the coast of Maine. David died an elderly man at Majorfield [Maugerville] when a tree fell on him. R. P. Dow claims he is the second person buried at the Great Dow Cemetery, even though he must have died more than a decade before the first, John Norton, and in another county. 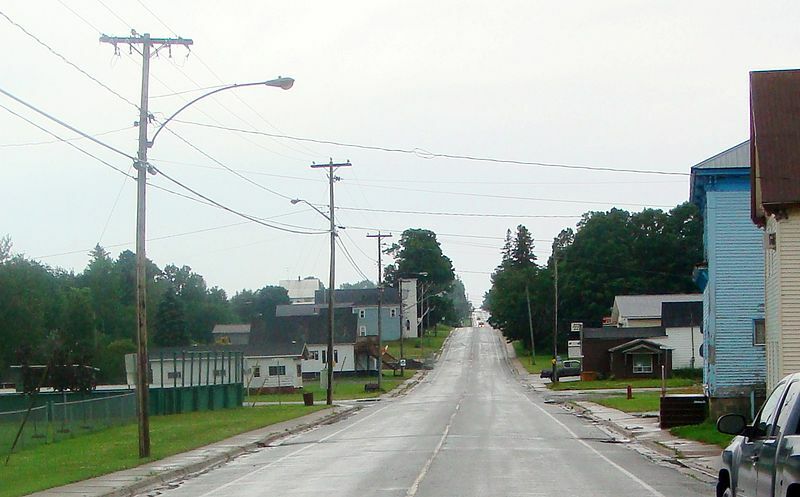 The village of Oromocto was initially an Acadian village. During the Expulsion of the Acadians, the village was burned in the St. John River Campaign (1758). During the American Revolution, Fort Hughes was built in the community after the rebellion at Maugerville, New Brunswick. (A replica of Fort Hughes was built at Sir Douglas Hazen Park.). York County Townships David Dow lived in the Canterbury area. 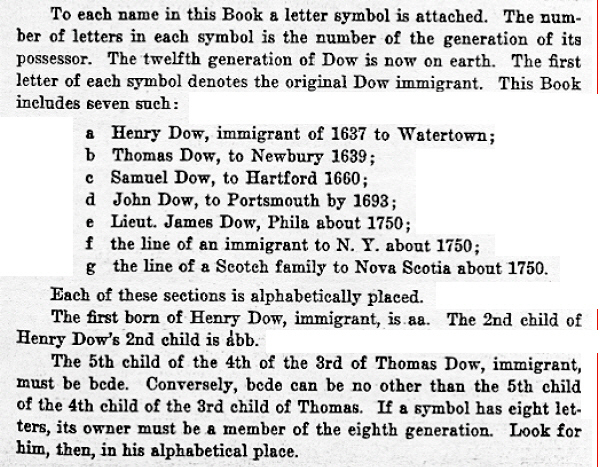 The vast majority of Dows in New Brunswick, and by far the largest Dow line there were the descendants of David DOW, the bcdg line, the youngest son of Stephen DOW, bcd. This large group of Dow’s left New England before the American Revolution, were Pre-Loyalists, and they for the most part settled along the St. John River, primarily in Maugerville. When the Maugerville settlement encountered bad economic times, many of this line returned to the United States. Most of those who remained, however, moved further up the St. John River and settled, at least initially, primarily in the area of Canterbury, York County, NB. This area of Canterbury was, and still is, generally known by the name Dow Settlement. Eventually some moved even further up the River to the area around and north of Woodstock, Carleton County,, New Brunswick. David Dow bcdg. A posterity of any of the three younger sons of Stephen Dow has been difficult to trace. In all the genealogical efforts previous to that of the present Author, the lines have been dismissed after the bare collection of such vital statistics as survive in Salem, Methuen and Plaistow. No direct descendant was found in forty years of search. Every item of the lines bddg, bcdh and bcdi was dug out by the present Author. The vital statistics of Haverhill were well kept from the beginning, but from about 1740 that part of Haverhill which became other towns, containing almost all the homes of Dows of the b line, was very poorly managed. The records of Methuen are less than 50% complete. Not 25% of Plaistow were copied from one book to another and such wholesale errors in dates, names and other particulars were made that one doubts even the good faith of the copyist. Nothing of bcdg would ever been found, had not the Author obtained the mass of old letters which Edgar R. Dow had been unable to identify. Among them were two from a very old man of Canterbury, NB, written in 1885. The ink was home made and faded almost to illegibility. The writer showed that at one time his knowledge of his family was great, but forgetfulness and confusion had attacked his mind. He dwelt upon the names David and Enoch, but occasionally transposed them. However, they were father and son. He mentioned Majorfield as their home before coming to Canterbury. Both names were favorites in the family in every later generation. There were discrepancies in the narrative, many pages long, which at first seemed insurmountable when the Author took as a working hypothesis that David was the missing bcdg. So, the Author began a series of letters, one to every person named Dow who could be found in New Brunswick. Finally, in 19245 one of these reached William Segee Dow of Old Town, Maine, who had from boyhood taken deep interest in the progeny of David, but who had not even hoped to find out who David was. The correspondence following has been constant. The Author gave his hypothesis with every scrap of information bearing upon it. Thereupon W S Dow revisted Canterbury, redoubled his efforts, revised every paper obtainable, searched the memory of every elderly kin, and recopied every gravestone. David’s grandsons had themselves been interested in finding out who they were genealogically. Another letter was found written by one of them, in which the statement was clear that Enoch was a son of David and had a brother Nith and a brother William. This is proof of identity, when one refers back to the Plaistow records. Nith is a unique name. William is found to be not a brother, but the orphaned nephew of David and cousin of Enoch. Finally, the birth date of Enoch of Plaistow coincides with that given in his death record. From this start, little by little, we have been able to reconstruct David and his entire posterity, a most important happening for this Book, becuase his posterity is by far the largest of any Dow and is probably not exceeded by any man in this country. It is not often that a man has fourteen children and one of his sons has seventeen, almost all surviving to procreate another generation. Let us hasten to the reconstruction. David Dow m. Jan 28 1736-7 Abigail Kelley, both of Salem. Next entry is: Mary, wife of David Dow d. Salem Jan 1, 1743. Abigail Dow d Salem Dec 29, 1743. David Dow, yeoman of Methuen, m. Salem Apr 10 1744 Mary Brown b Jan 9, 1725-6, daughter of Caleb of Bradford and Elizabeth. There were children by both wives. By referring to the birth records of the children, it is easy to see that Mary, wife of David is a clerical error in re-copying for Abigail Kelley Dow, and that David promptly remarried. Localities prove that the family lived in Salem up to 1753. It then disappears until 1770, date of birth of a grandson to David. Family tradition gives the place as Majorfield, but we do not believe Majorfield was founded until 1783. No evidence that David served in the French wars, in which three of his brothers gained distinction. In 1776 some David Dow of Cumberland, Nova Scotia receipted in Boston for pay 1 mo, 5 days, Capt Jabez West, Col. Jonathan Eddy. This company was raised mostly in New Brunswick and Nova Scotia, and age almost precludes that the enlister was our David. In the same company was a John Dow unknown to us, hailing from St John. Probably a member of the g Dow family. It is interesting to note that the Canadian coast furnished about an equal proportion of Federal sympathisers as the 13 colonies furnished tories. Unmistakable family traditions says that David came to New Brunswick from Newburyport. In 1785 he was living in New Brunswick, an avowed tory, as were all his neighbors. it was in Newburyport, then, the sea port for all the Haverhill region, that David learned of lands beyond seas, lands which could be had, not for the asking, merely for the pre-empting. Two of his sons were Canadian-born according to tradition. It is not impossible that David was more or less at home there as early as 1772. Nevertheless, he might have been of Berwick, Maine in 1776 (cf bcdgg). The great influx of former tories to NB came in 1783, a single expedition. In 1785 surely David was of Majorfield, a pioneer in a region of rich timber alongside the St John River and much below Canterbury. Many of his companions later came to found Canterbury, all well known Mass Bay names, all tories. We believe that David who knew the NB coast from 1772, led the party to Majorfield. He was elderly when he died there, a tree which he was chopping falling upon him. Curiously, his grandson David, years later, was killed under exactly the same circumstances. One account has it that Majorfield was abandoned between 1785 and 1788, but this seems in error, In 1796 land in that county was granted to William Dow, whom we identify as the orphan bcdbd. In 1815 land near where Canterbury now is was granted to William Dow. This entry we do not understand for bcdhd never went to Canterbury, but returned to the US in 1803. Most likely the 1815 date is wrong and that bcbhd got that land prior to 1803 and quit-claimed it to his cousin. The Majorfield colony had a hard time. All the clearing and the homes were close to the River. The industry was in floating timber to tidewater and selling it. Three times the Spring freshets assumed great proportions and swept away all the homes in Majorfield. Thereupon the colonists became utterly discouraged. Nith Dow, William Dow and others returned across the border. Enoch Dow bcdgd decided to remain and formulated a plan to move upstream to a safer shore and used for his purpose the Canterbury land grant. A dozen or so families went with him. They built a largew flat boat and poled it up the river. The forest was trackless and so remained many years. The migration was in 1803 – this date is positive.. About 100 miles north they stopped and chose the right bank for the new settlement. Some years later Dow’s Settlement was founded across the stream and about 4 miles higher up. Still another 4 miles up, the lane was settleed, another Dow home. William Segee Dow, whose knowledge of early New Brunswick history is profound, disagrees with the Author on the whereabouts of David Dow’s family on various dates. There was a settlement, he explains, by Newburyport people at Port Arthur (now St John) as early as 1761-2 and David was among them. He asserts that Enoch was married in Majorfield and his first born ws there in 1770. He thinks the family were American sympathizers. although after the war it was more polite to display tory convictions. The first tories from the Statesx came in 1783 and the influx lasted several years. Another line of New Brunswick Dows was founded when John Dow [bbbfab] moved from Haverhill and started and operated a ship building enterprise in Oromoncto, Sunbury County, New Brunswick. John’s brother Joseph was closely associated in partnership with his brothers in the ship building operations in Oromoncto in Sunbury County (at the junction of the Oromoncto and St. John Rivers) and when that operation failed, he failed too. It was Joseph’s two son’s, William Dow, bbbfaab, and John Dow, bbbfaac, (as well as their three sisters), who did not return to New England like many in the associated family did. 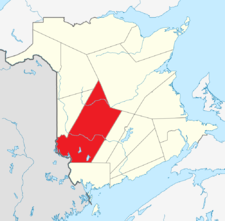 They remained in the general area of Oromonto (i.e., in or around Kingsclear, York County, NB) and then both moved their families upriver to Carleton County, NB, where they both remained until their deaths. This was a completely different from Dow Settlement (later called East Brighton and today non-existent) in Brighton Parish of Carleton County, New Brunswick, just a few miles east of Lower Brighton which is on the St. John River just north of Woodstock. He was born in Haverhill, Mass, Jan 12, 1783. If, as it is believed, he was the son of Joseph, it is altogether probable that other children preceded him in the 15 years since the marriage of Joseph and Judith Emery. In 1803 he went to New Brunswick. Family tradition steps in once more with a reason for this change – because he was a Tory. This may have been, although the large number of Tories left New England at about the time of the evacuation of Boston by the British in the War of the Revolution. Without doubt feeling against the mother country still ran high in 1803, and in going to a British province he might have let it be known that he had tory sympathies in order to secure peace in his new surroundings and to keep on good terms with his neighbors. It is not believed that he became a British subject as he afterwards held town office in New Limerick, Me. The lack of record of his brothers and sisters in Haverhill leads to the belief that they accompanied him to the Province. At the junction of the Oromocto River with the St John he settled and became a builder of ships. His business prospered and he became a man of substance and of local prominence at least. Several full rigged ships came from his yard, among which are remembered the names of three: the “Rival,” the “Sir Howard Douglass,” named for the Governor of the Province, and the “Phoebe,” named for his wife. Some of the vessels he built he operated himself between the Province and British ports. The Phoebe was one of these and was lost on a voyage to Liverpool, with no insurance. 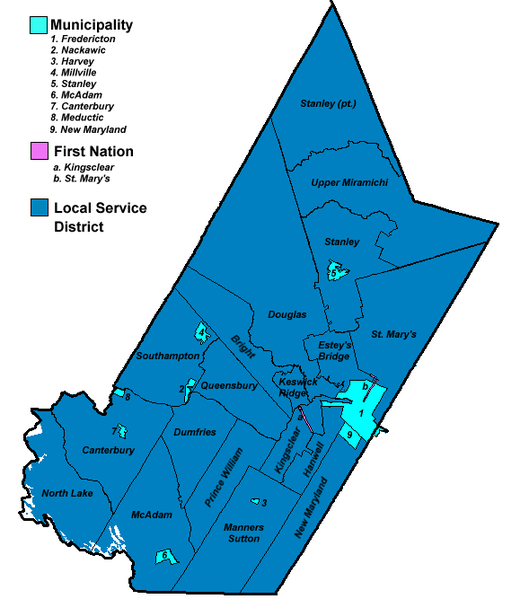 6. bcdge – Nith is proven to have return from New Brunswick in 1803 but further untraced. This entry was posted in -8th Generation, Immigrant - North America, Line - Miller, Missing Parents, Pioneer, Veteran and tagged New Brunswick. Bookmark the permalink.